Our camp is the only overnight camp in the region that is specifically designed for children with high functioning Autism or Asperger’s Syndrome. Our camp provides a recreational place for kids to enjoy a week in the outdoors in a safe and fair environment with kids just like themselves. Staff applications are open for 2019! Camper applications are now closed for 2019. The link will remain open so parents can update the existing camper files. We provide a summer camp for campers with High Functioning Autism (HFA) or Asperger’s Syndrome (AS). Our Mission is to provide our campers with the opportunity to engage in activities that will help them grow and expand their social experiences. We want to provide opportunities for campers with HFA or AS to enjoy their uniqueness, take pride in their strengths, and just have fun! How to Apply: Applications for 2019 are currently closed for 2019. The camp is full for this summer. Camp dates are August 13-17th 2019. Central Oregon Camp: Unfortunately we will not be hosting a camp in Central Oregon in 2019. We will plan to help with transportation for campers from the area to attend the camp in Falls City. 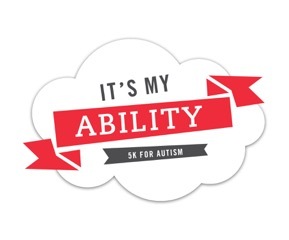 Join us for the It’s My Ability 5k Saturday, September 7th, 2019 in Boring. Thanks to all who gave in 2018! !